I stock up on battery coupons whenever I can as we are always running out! 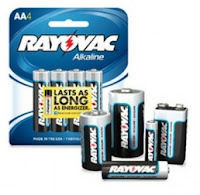 Head on over to coupons.com to print this new $0.55/1 Rayovac Alkaline Batteries coupon. Some Walmart and Target stores reportedly carry 2-packs of the Alkaline Batteries for less than $1, so this coupon should make for a great deal! I'm not a coffee drinker but I'm forever buying those coffee pods for my hubby and sourcing deals is a MUST as these things aren't cheap! I guess its cheaper than Starbucks but seriously since these Keurig makers came out our coffee costs has increased! Check out this deal! Mamasource has a $20 coupon for only $10 to Coffeeforless.com (a place to purchase coffee and tea products online). So I found some stacking scenarios which makes this already great deal even BETTER 1. Head to Mamasource (Daily deal site) an purchase a $20 voucher to CoffeeForLess.com for only $10. Even better, if you’re a new Mamasource customer, you can use the promo code MAY10 to score an additional 10% off, to bring your voucher down to $9! After purchase, head on over to CoffeeForLess.com where you can use it on anything you want! The voucher will even cover shipping costs (which starts at $6.05). Or, get FREE shipping on orders over $45. PLUS, apply code CASHBAK5 at checkout to save an additional $5 off your order! *Your final cost will be just $1.74! Including the voucher, this makes your total as low as $10.74 shipped! 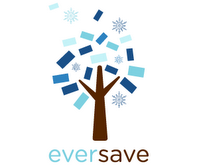 Don't forget to head to ebates before logging into Coffeeforless.com so you can earn 2.5% cashback! now thats an awesome example of superstacking! My son's reading has really taken off this last year in 1st grade! I'm so excited to see him take an interest in reading and now that summer is round the corner I'm excited to share with you the Barnes & Noble Kids Summer Reading Program! This program is awesome as you can get a Free book for your kids when they read 8.You child (grade 1 – grade 6) needs to read any 8 books, and complete the reading log, they can bring the form back to Barnes & Noble between 5/22 – 9/4, to receive one of the free books listed here! My kids both got free books last year! My children were 6 and 4 last year when we read the books and redeemed for the free book so you don't have to be in Grade 1-8. 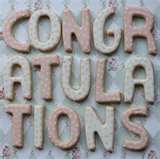 There's daily deal sites for babies, parents and sports related items. Now check out Doggy Loot for pet related deals! I've been slacking in the couponing area lately. This spring has been filled with travel soccer tryouts, endless baseball games, birthdays, work and family events. I see a break in sight in June and have started to slowly work my way printing coupons online because thats just the easist thing to do! 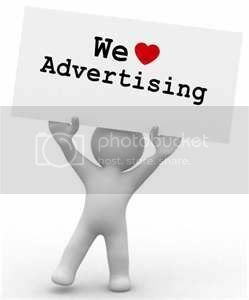 Check out all these coupon printing sites. Simply choose the coupons that work for your shopping needs and you have instant money for savings at the store! BoxTops = Free Money for your school - Are you Collecting? Freebie Alert: Need inspiration in the table? Save money too! Need inspiration in the kitchen and save money too? 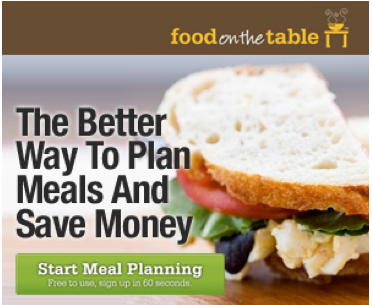 Use coupon code SPRINGFREE to get a free lifelong subscription to Food on the Table Menu Planning Service. Food on the Table combines the weekly sales from your local grocery store with your family's food preferences. I love this service! 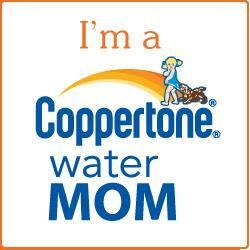 I'm thrilled to have been chosen to be a Coppertone Water Mom. As a Coppertone Water Mom, I’ll be sharing some fantastic tips, recipes, activities and how to keep our children safe outdoors with Coppertone products. I have olive skin that tans very easily. Its May and I'm already pretty tanned just from sitting outside watching my kids at their soccer and baseball practices/games. My friends think I've been away on vacation but I've yet to hit the beach this year. While I tan easily it doesn't mean I give up on suncreen. I actually have to make the effort to put sunscreen on as I hate looking so dark and I also want to protect myself from the harmful UV rays. 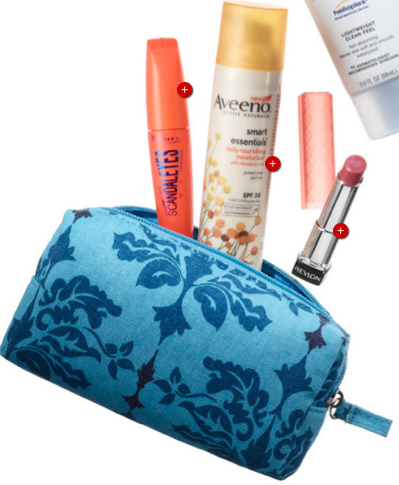 My summer handbag always contain sunscreen for the family and Coppertone features heavily in my sunscreen choice. Their product line offers something for everyone and I love how they are very focused on the kids as their skin is certainly the most vulnerable. Memorial day is near which signals summer break will be here in no time! remember for water play to always watch the little ones and never leave their side! Slide fruit onto skewers: Alternate the blueberries, strawberries and melon chunks with two or three brownie pieces for each skewer. Recipe makes 15 skewers. For small children make sure you remove the skewers before serving. HURRY Free 1 year subscription to Better Homes and Garden Magazine! Hurry on over to snag a FREE one year subscription to Better Homes & Garden Magazine ($47.88 Value!) courtesy of American Family. Act fast, as this offer is limited to the first 5,000. 1 year Free Care.com for Active Duty Military Family! I just found several awesome candidates for summer babysitting help! Sign up and check it out! 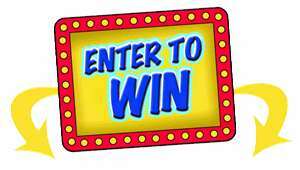 Hubby is a Keurig coffee drinker and will be pleased with this freebie! 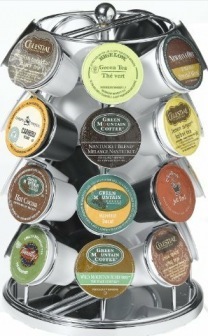 Head over to the Tully’s Coffee Facebook page to request your FREE K-Cup sample variety pack! The pack includes House Blend, Italian Roast, French Roast and Breakfast Blend. Limit one sample pack per household (you won’t be able to request it again if you have already signed up). 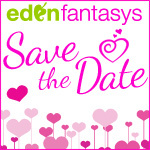 Quantities are limited, so make sure you request yours before they are all gone!